Virtually every business needs a good social media manager! 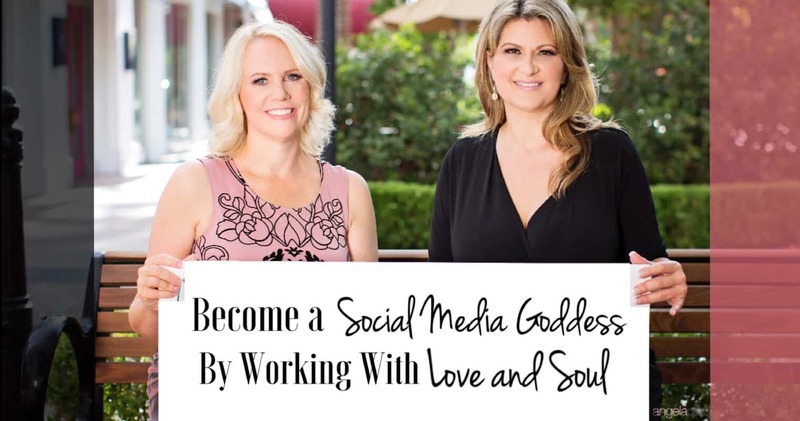 However, if you want to become a social media goddess that provides extraordinary services, is in high demand, and commands top notch prices – you must work with love and soul. Whatever is inside of you will come out in the way you engage with your followers and your client’s followers online. Whether you are having an awesome or a terrible day, it will come out. If your client is having a bad day and they take it out on you, then you must learn how to manage it so it doesn’t impact the quality of your work. When you run a social media page for business, one of the most important things you will ever have to do is ensure that the content you post is engaging, relevant, eye-catching, and useful to your followers. In essence, when you post, you want to elicit an emotional response from your followers. Think about it objectively before you post, and try to put yourself into your followers’ shoes. Each follower is a potential customer. What’s more, thanks to “share” features, each of their friends is also a potential customer. If a follower likes what you’ve posted, they will be far more likely to share it with their friends and followers, which means that your reach is expanding from your own friends’ list – to theirs. What’s more, if just one of their friends likes the post, they may also share it, and so on. Postplanner is a social media app growing in popularity every single week, and is helping social media users expand their reach and increase their overall rates of conversion in the process. This app is specially designed to consistently help users discover fantastic content such as viral videos, viral images, popular blog posts, relevant info, and so much more. Social media users can then post this content on their own pages, which in turn helps them to expand their reach and to help entertain and impress their followers in the process. Social media marketers swear by this app, and for anybody trying to become a Social Media Goddess, Postplanner is simply a must. With prices starting from as low as just $7 per month, it is worth every cent. In order to become a sought after Social Media Goddess you must adhere to the 80/20 rule so that your brand grows exponentially. The 80/20 rule is actually very simple: when posting, you should post 80% relevant and valuable content (i.e., the content Postplanner will source for you), along with 20% information regarding you and your business, services, products, etc. The idea here is that you don’t want to come across as too salesy as this is likely to put followers off and may result in them unfollowing/unfriending the brand’s page. Instead, you should provide followers with valuable content that entertains, educates, motivates and inspires. By posting in this way, you give the brand a more “human” feel, instead of coming across as a robot or some faceless corporation who sees followers as dollar signs instead of as real people. 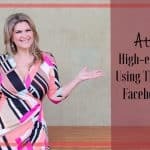 Using these three soul-elevated marketing tips, you are well on your way to becoming a Social Media Goddess. Just remember… the key is to love your clients and serve them! P.S. Want more in-depth hacks like this one? 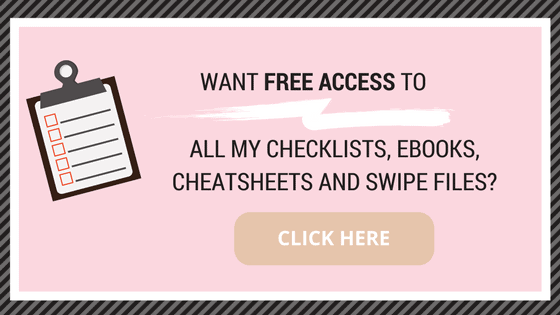 Join our LaFemme Marketing Academy for ONLY $1 – The Only Extensive Repository For Women Entrepreneurs Ready To Take Their Business From Struggling To Successful In 8 Weeks. Join here. Angela, I love this post honestly! Couldn’t agree more that the key to become a social media Goddess is to love and serve our clients. Content is the king, when we follow the 80/20 rule to post on social media, that will provide the meaningful value to our followers, in turn, this will help us to succeed on social media marketing. I am sure we will gain more trust of the followers when giving the brand a more ‘human” feel. We are all humans anyway! This is such great advice. I blog myself and this is the same formula I use and it is so great. I’d actually heard of the 80/20 rule before in passing but never really knew what it was, but that was an awesome explanation and that makes total sense. I could see how that would be a good rule of thumb to follow for growing your social media. But, as you say, nothing can beat great content! Thanks for the tips! They are super helpful. I have never come across the 80/20 rule before, but that is definitely something I will keep in mind in the future. I definitely agree that you should be passionate about what you are selling, and believe in your product or service, or business. I can’t see how people will be successful in something they don’t enjoy or believe in. I love the idea of the 80/20 method. When posting on my twitter I felt that sometimes I came off too much like a sales person. If your business is in sales I think it can be challenging to come up with content that is more entertaining and less robot sales person. This is totally cool and interesting and have been a great help. I’ve been searching on how to be a social media goddess and this has been a great help! It works perfectly for me. It’s clean and well-organized with great explanations and instructions. Thank you for your efforts and for sharing this for free, and for always providing us with useful information. Thanks for this guide. It’s very clear, and I followed it and now have everything ready. I can’t do this sort of thing by myself, so this helps. 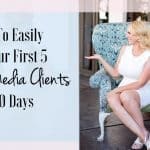 I have tried other guides (because I want to become a social media goddess and provide extraordinary services), but this one is the best! It’s easy to follow and understand. Thanks! I love the idea of the 80/20 method. When posting on my twitter I felt that sometimes I came off too much like a sales person. If your business is in sales, I think it can be challenging to come up with content that is more entertaining and less robot sales person.